Alia Bhatt is so adorable! 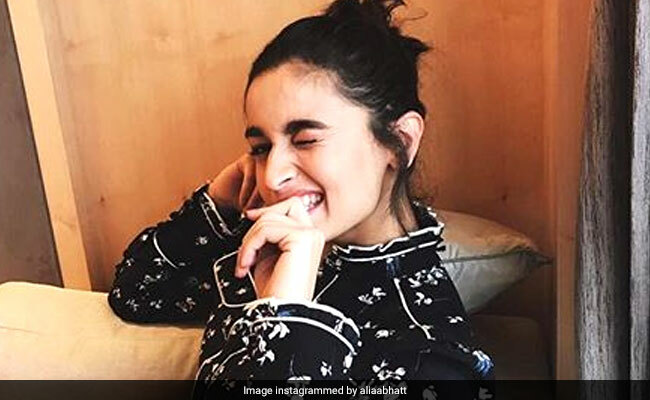 The 26-year-old actress recently made a cute little goof-up (absolutely pardonable) during a recent promotional interview for Kalank and a video of her facepalming is crazy viral now. Here's what actually happened: Alia Bhatt and Varun Dhawan are great friends and hence, he leaves no opportunity to tease her (what are friends for otherwise?). So, during an interview with Bollywood Hungama, Varun was spotted playing with Alia's hair when she blurted out Ranbir Kapoor's name by mistake before correcting herself and saying: "Varun, don't!" While Sonakshi Sinha and Aditya Roy Kapur couldn't help but laugh out loud, Varun hugged an embarrassed Alia. Alia Bhatt and Ranbir Kapoor are the new star couple on the block and were recently spotted together at Karan Johar's house. The couple are also co-stars of the Ayan Mukerji directed Brahmastra, which releases in December. In the recent past, Alia and Ranbir sent netizens into a tizzy with their sudden PDA moments. Here's a look at some of Alia and Ranbir's aww-inducing viral moments. Earlier this month, fans of the couple went gaga over a video of Alia adorably missing a kiss from Ranbir after his Best Actor win at an award show. The couple have also featured in adorable posts on both Neetu Kapoor (Ranbir's mother) and Soni Razdan's (Alia's mother) Instagram profiles. The ensemble cast of Kalank also includes names such as Madhuri Dixit and Sanjay Dutt and hits screens this Wednesday.